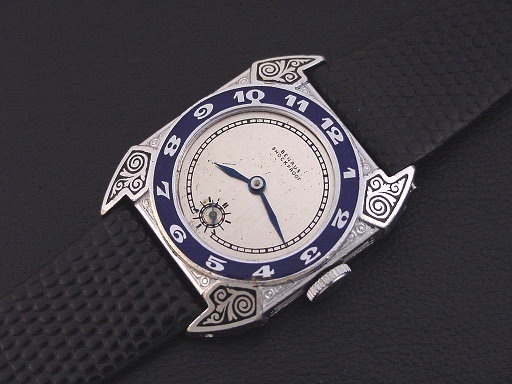 Scarce Benrus “Airman” men’s Art Deco design wristwatch in 14K white gold fill with blue and black enamel, circa 1929. 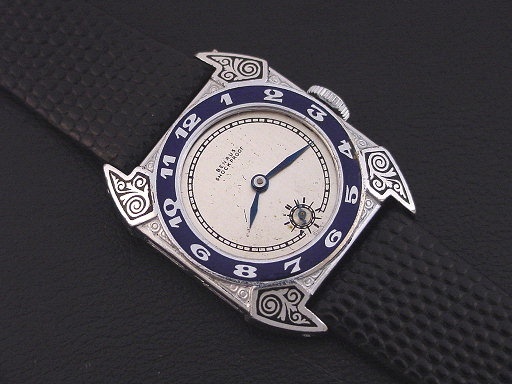 The "Airman" has a cut-corner case with stylized eagle heads in black enamel in each corner, and then the hour numerals set in a ring of brilliant cobalt blue enamel on the bezel. 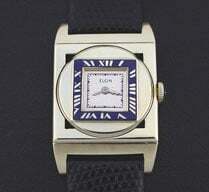 It was priced at $37.50 in 1929 and was the official watch of National Air Transport, which later became United Airlines. 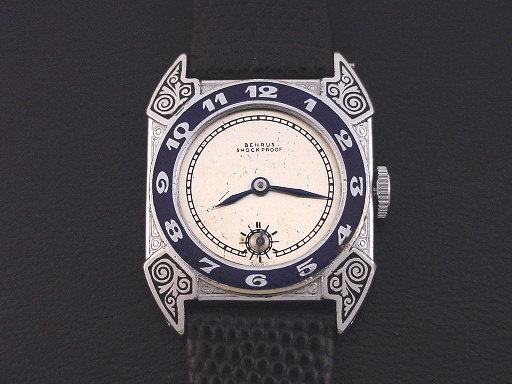 It is scarce watch and this is the first I have offered in many years. This example is in excellent condition showing only very light wear, and only a few very tiny nicks and flakes to the blue enamel. 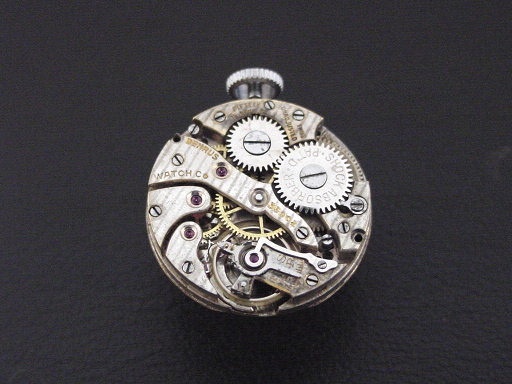 Hinged caseback is excellent and unengraved. The case measures 35mm long and 28mm wide. Dial is very good. Has new glass crystal. 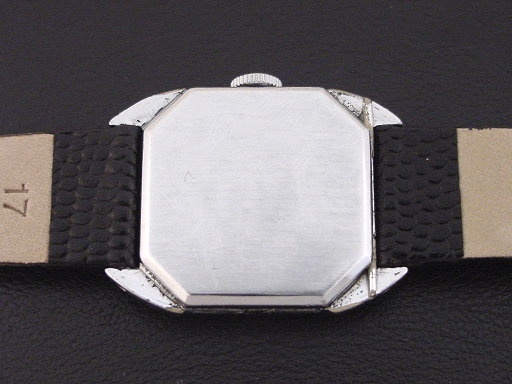 The watch is powered by its correct 15-jewel Benrus Shockproof manual wind movement, just serviced and running strong.